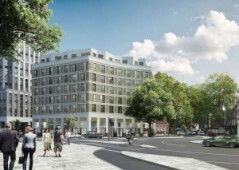 Invest in a first class apartment in central London, situated on Blackfriars Road in Southwark, less than six minutes away from the underground station allowing you to commute in all directions in a thriving central area. 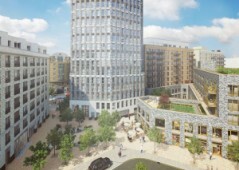 Superb investment properties for sale in Blackfriars Road, Southwark, part of a regeneration project that will see wider walking paths installed, new cycling lanes, and 27 new businesses including shops, cafes, and lots more. Regeneration apartments in Southwark, home of Shakespeare and The Shard, both within walking distance. 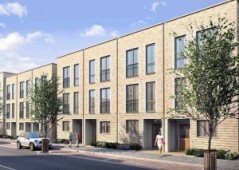 This project of flats is in an area that is regeneration with an abundance of new facilities, shops, and more. 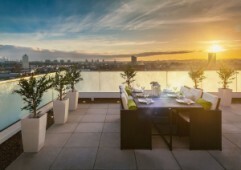 The capital of cool in London, Camden is home to the weird of wonderful of the capital’s centre, and these high end apartments for sale are your opportunity to mix in and live it all on a daily basis – a striking opportunity not to be missed. Exciting opportunity to purchase an apartment in London in an area currently undergoing huge regeneration, these Vauxhall flats are found in Zone 1 and are less than 20 minutes away from some of the most famous city landmarks and areas. 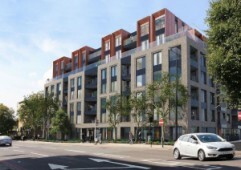 Do not miss out on this golden opportunity to invest in a high quality apartment at a fantastic price today – these Colindale apartments are just minutes away from the nearest Underground station and have access to communal gardens. To receive our exclusive listings that can't be seen anywhere else. Copyright © 2019 PropertyUK Limited. All Rights Reserved.